An original ink drawing of William Donahey's "Teenie Weenies." 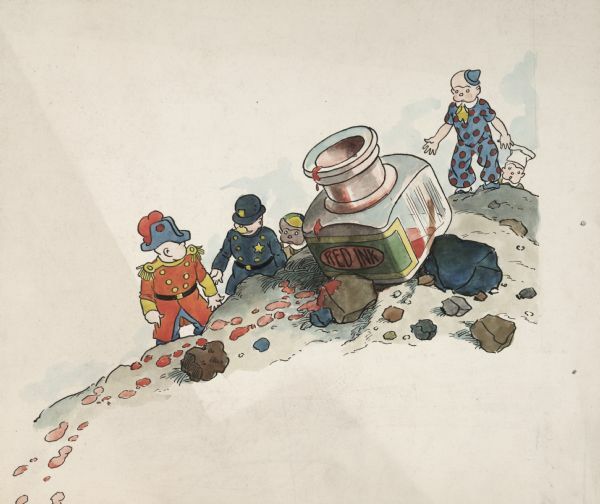 The colorful drawing features the General, the Policeman, Gogo, the Clown, and the Cook climbing on rocks and discovering a bottle of red ink. The drawing is unsigned and undated.